Ten Commandments of Birding (learned rather painfully as a novice from many other birders) ..... 1. Thou shalt have no other interest before birding. If thou does, thou shalt not discuss it with other birders. 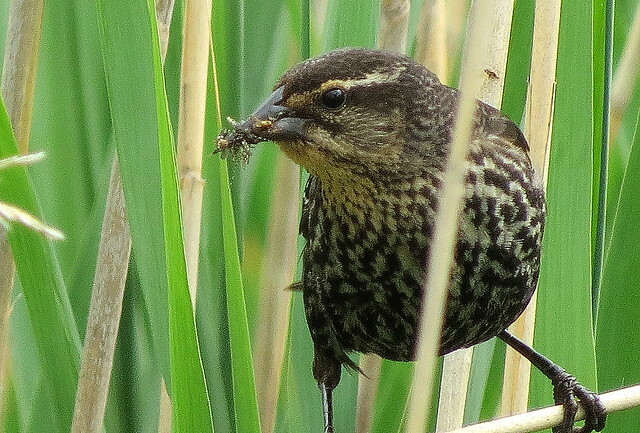 Female Red-winged Blackbird with food ...... 2. Thou shalt not take unto thee any graven image of the birds that are in heaven above without giving photo credit to the photographer. Thou shalt not capture and cage the wild birds, nor shalt thou visit birds in zoos (unless the birds are endangered and part of a breeding release program), nor shalt thou respect and cherish any introduced species. 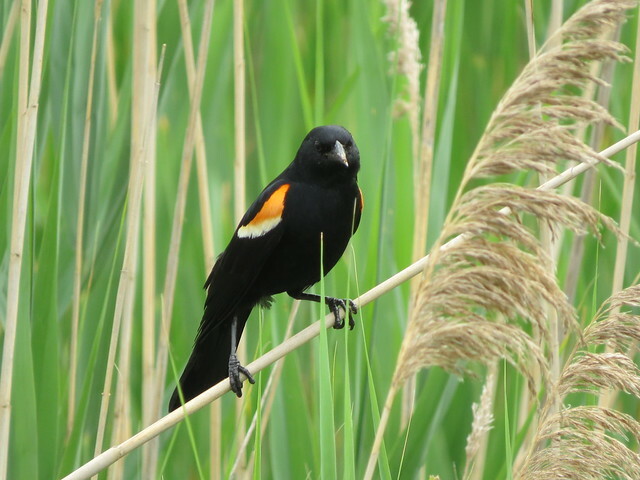 ... Red-winged Blackbird male 3. Thou shalt not take the name of the Lord thy God in vain: not when thou just missed seeing that rare bird, nor when the potential life bird doth not sit still for an identification, nor when thou droppeth thy binoculars in the middle of the lake. ... 4. 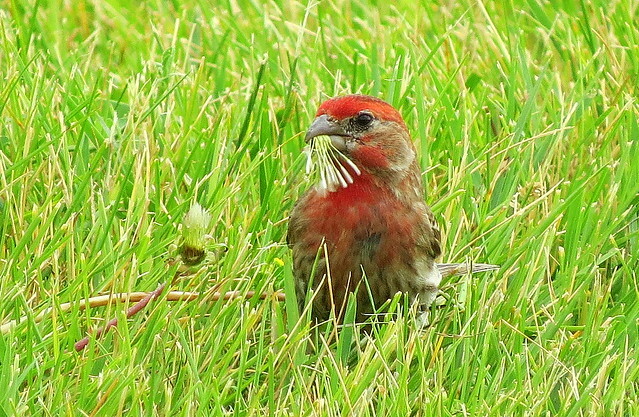 Remember all thy birding days, and keep them special. Six days shalt thou labour and do all thy work: but the seventh day is to renew thy spirit with the avian flock. Work is the curse of the birding classes. 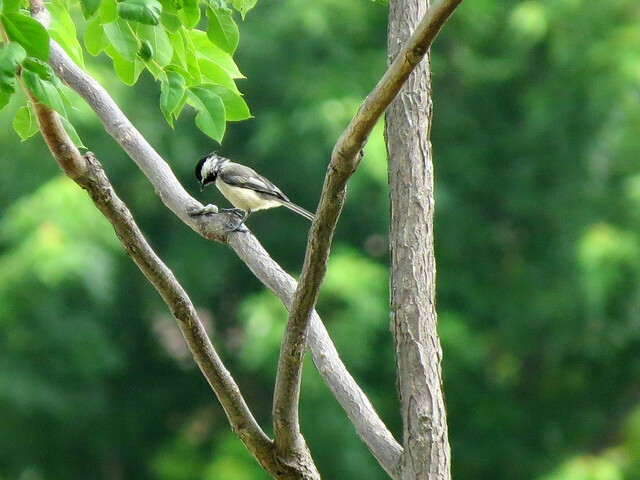 ... Black-capped Chickadee 5. Honour those who introduced thee to birding and taught thee about birds that thy days may be long upon the land which the Lord thy God giveth thee. If thou should dishonour those experts, thy days may be short. 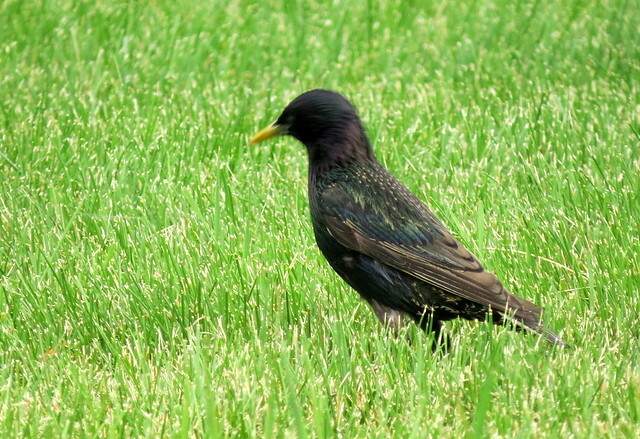 Honour those who own the private property where birds congregate that they may allow thee to come back the next time. ..... 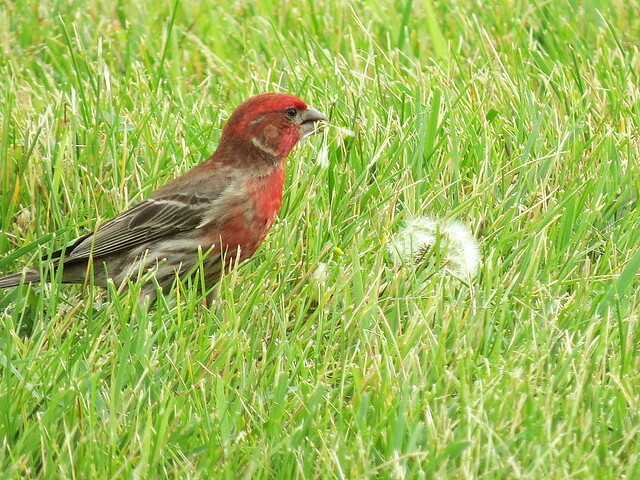 Male Housefinch with Dandelion seeds 6. 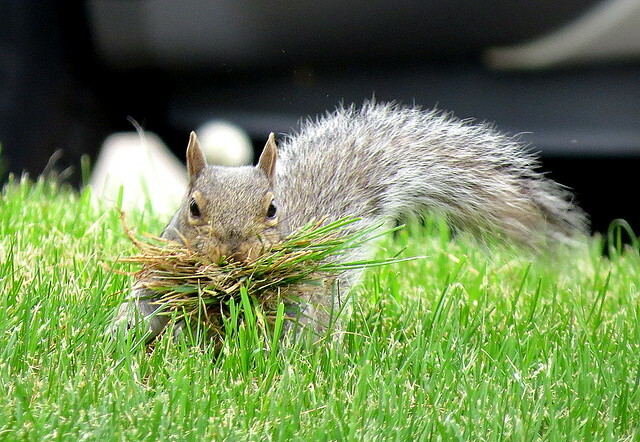 Thou shalt not kill any bird (nor any bird hunters - no matter how strong the provocation). Thou shalt labour to protect and keep them for all the days of thy life (well, maybe not the hunters...). 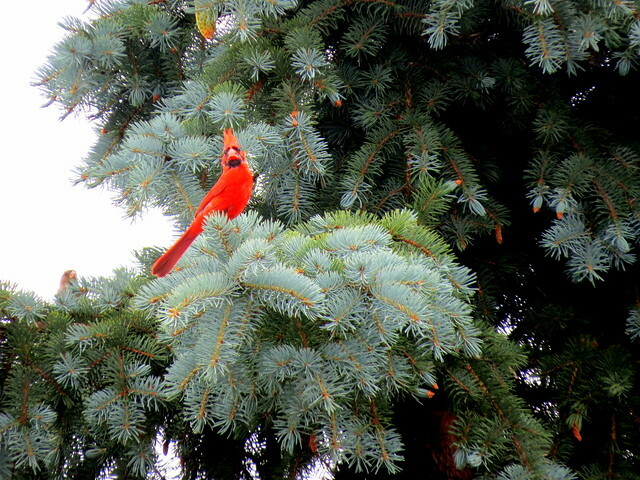 ... Northern Cardinal on Pine tree 7. Thou shalt not take any thing that belongs to another birder without asking: not his place in the hide, nor his field guide, nor his birding partner, nor his lunch. ... 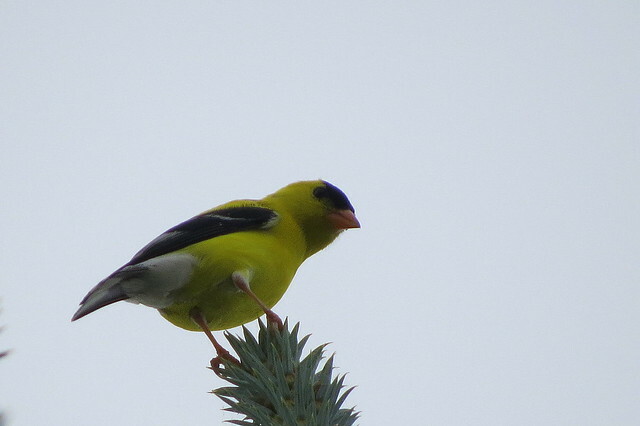 Male American Goldfinch 8. Thou shalt not steal a bird's eggs or, more importantly, a bird's habitat if thou wish to see the bird long on this earth. ... 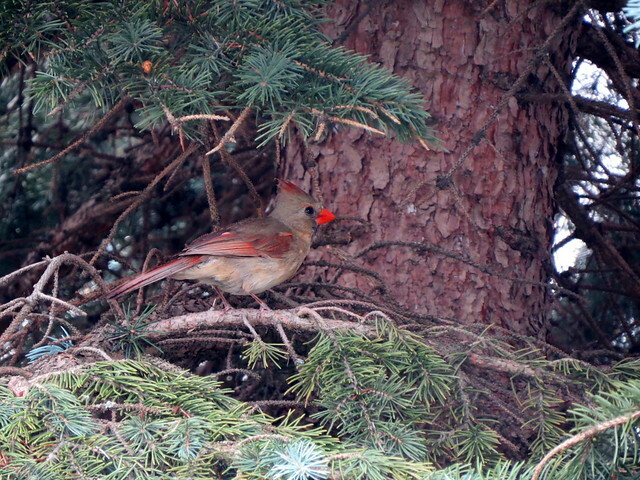 Female Northern Cardinal 9. Thou shalt not bear false witness about birds thou hast identified or heard, nor shalt thou exaggerate or brag about birds thou hast seen. Thy word is thy bond, especially on Birding Big Days. 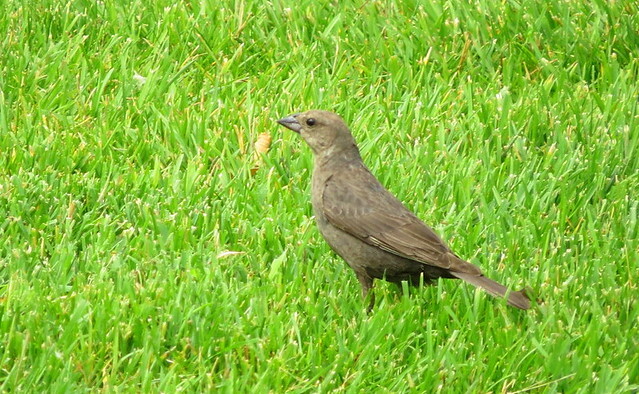 ... Brown-headed Cowbird In India, we call this a "Common Starling", (https://en.wikipedia.org/wiki/Common_starling) (Sturnus vulgaris). 10. Thou shalt not covet thy neighbour's life list, but must create thine own. Thou shalt not covet thy neighbour's birding scope, nor his identification skills, nor his bird photography ability, nor his ability to travel to see more birds than thou, nor any other thing that is thy birder neighbour's. Common (or European) Starling Remember these commandments, and keep them holy, in the name of the Father (John James Audubon), and the Son (Roger Tory Peterson) and the Holy Ghost (Charles Sibley).